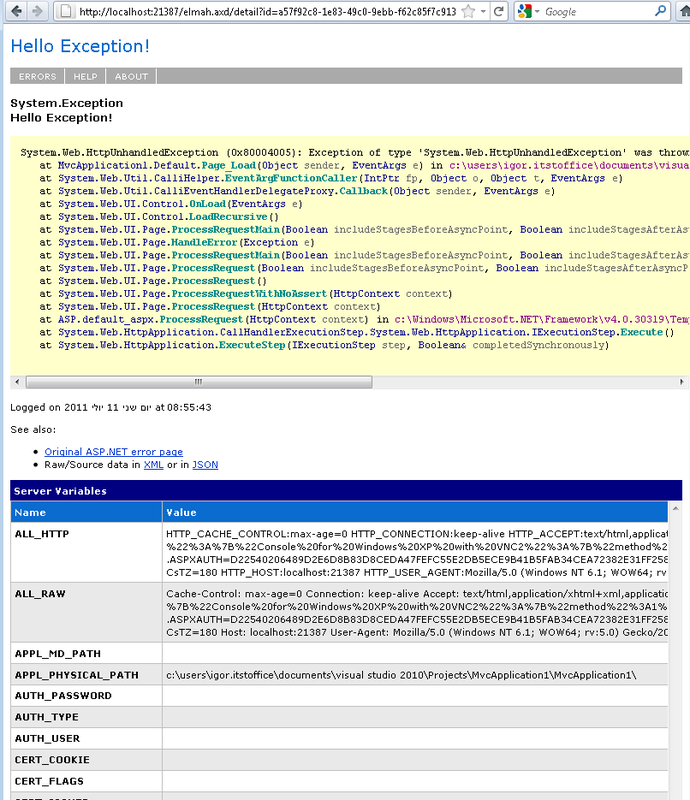 Catching and logging unhandled exceptions is one of the first tasks in developing an ASP.NET application. 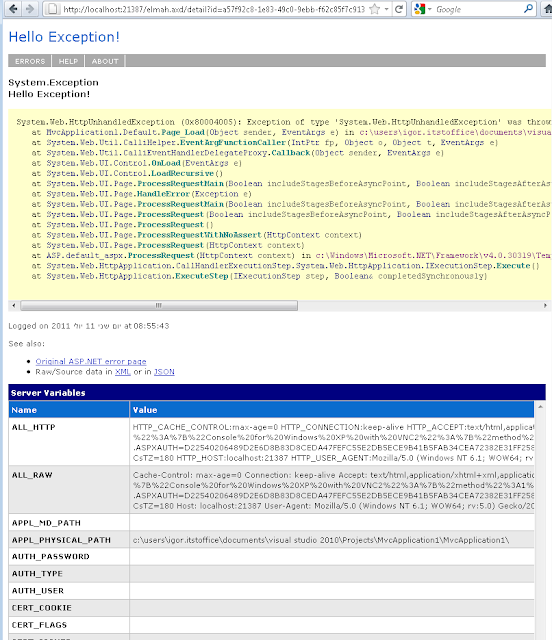 ELMAH provides an HttpModule which does exactly the same work that I previously used to do. All I need is to configure its behavior in Web.config. 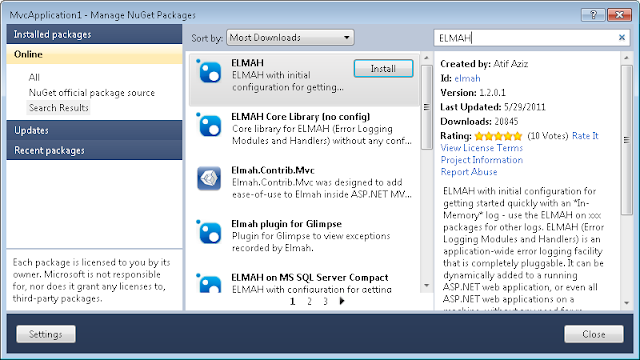 The easiest way to install ELMAH is using NuGet. Select ELMAH, click 'Install' - that's it. By default ELMAH stores logs in memory, but it supports XML and database storages. 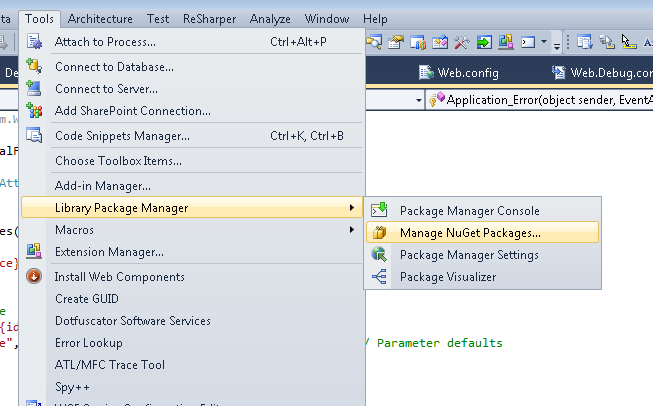 Go back to the NuGet package manager and select one of these additional packages: 'ELMA on XML Log', 'ELMA on MS Sql Server Compact', 'ELMAH on MongoDB', etc. 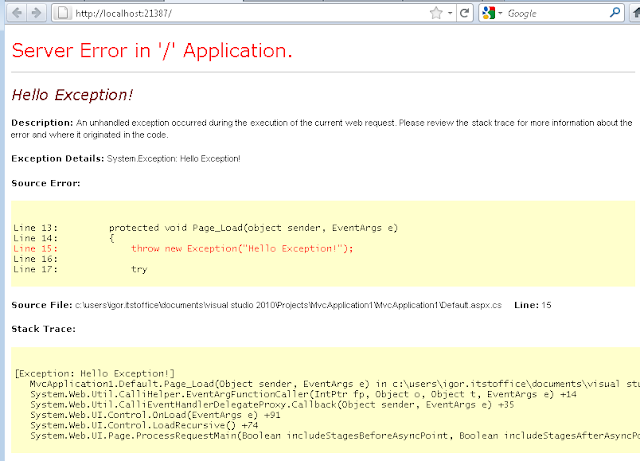 ELMAH allows to log any exception from your code. Filter unwanted exceptions, programmatically and via configuration. Get a digest RSS feed that lists errors by day and up to last 15 days. Send error notifications as tweets to Twitter. Send an e-mail notification of each error at the time it occurs.